10L/11QT Cooler Box is a wonderful High-performance Roto-molded Cooler keep ice for more than 1.5 days and features heavy-duty, seamless, one-piece construction that is virtually unbreakable and built to last. 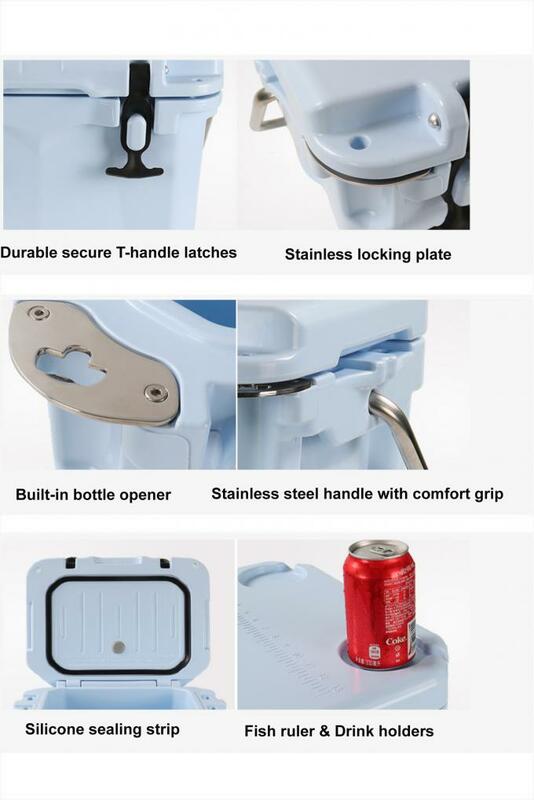 It is very practical in everyday life,can be use for camping, catering service and fishing outdoor activity. Logo Customized, silk screen, printing, label sticker, heat transfer etc. 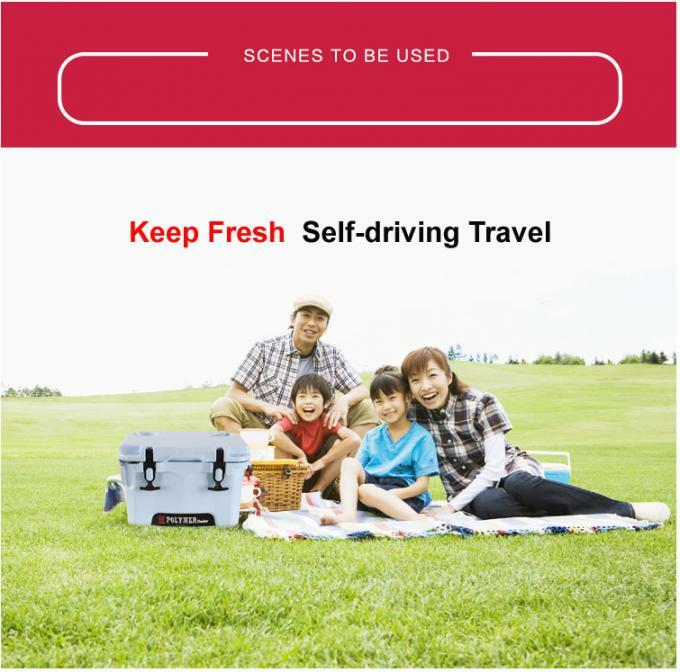 Usage: Picnics, Camping, Hunting,BBQ,Exploration,travelling etc. 2.Durable: Having good impact resistance,It’s not easy to break up when hit and health to use. 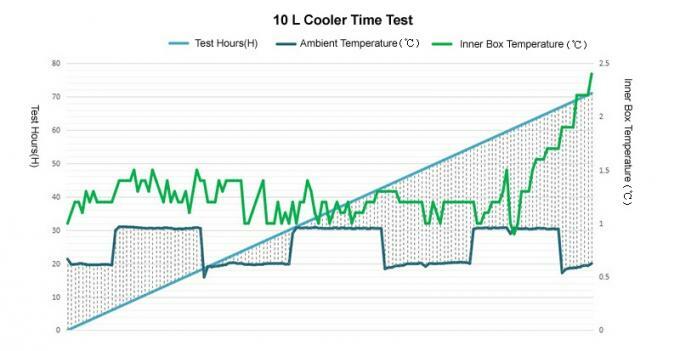 3.Seamless:Seamless is one of the most important consideration When you are choosing the Cooler Box. Excellent Seamless is the necessary condition for storaging food. 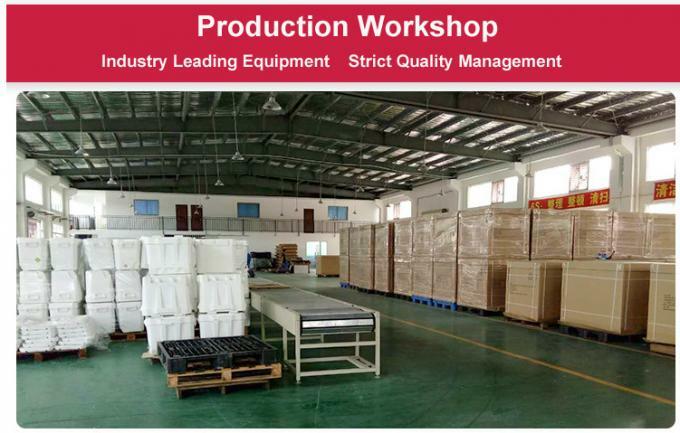 4.Inviroment Protected: Adopting the LLDPE material, non-toxic and tasteless, UV resistent and not easy to fade. 5.PE thckness: 2.5mm, High strength, good thoughness and long service life. 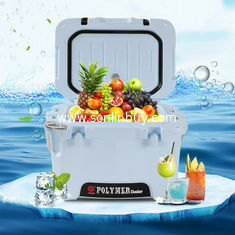 1.The portable Cooler Box has a strong nylon rope handle on both sides. It can also be easily moved by one person, and two people can carry the rope on both sides, respectively. 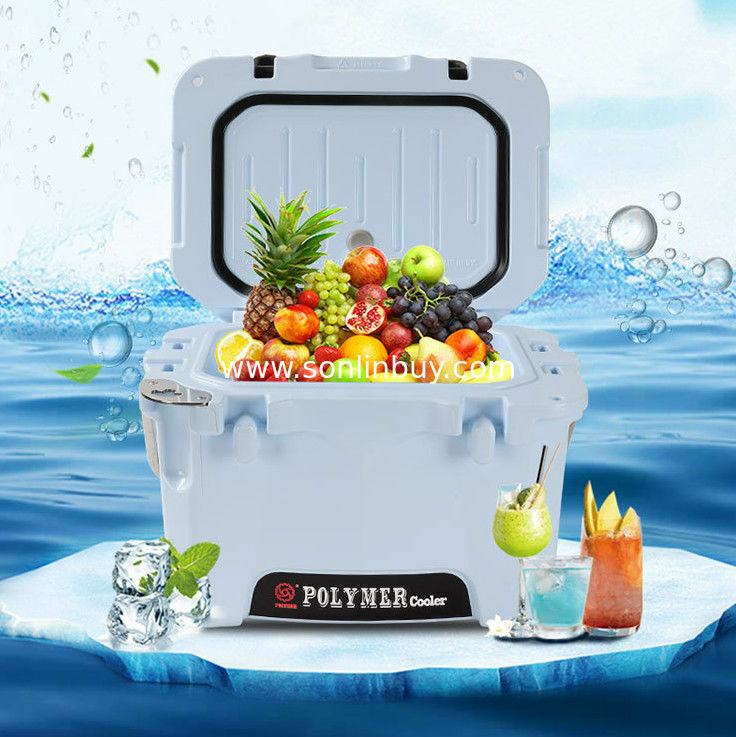 2.No power supply, with high heat insulation, constant temperature effect of the mobile thermal insulation box. 3.good impact resistance, not afraid of lost touch, and the long-term storage of ice. 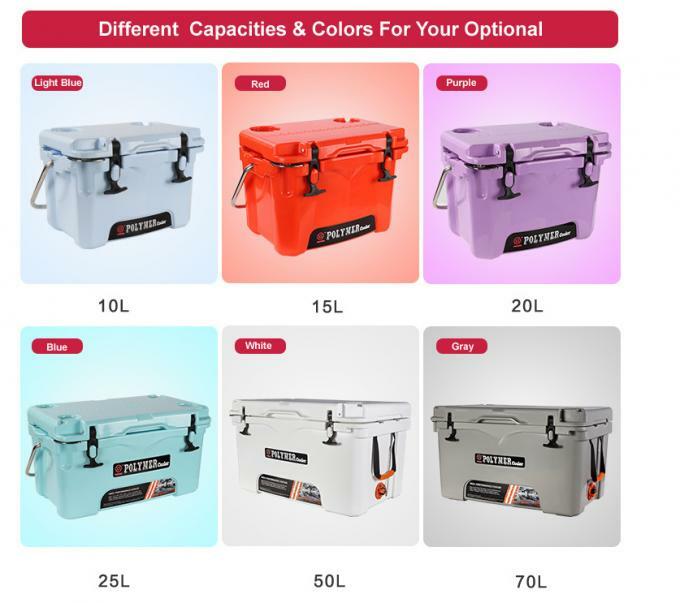 4.Very extensive, can be used for vehicle Cooler Box, cold storage, refrigerated box, GSP pharmaceutical drug transport refrigeration box, reagent refrigeration, camping, hunting, fishing and other outdoor activities. 5.The bottom is equipped with rubber anti slip wheel, which is non-toxic, tasteless, UV resistant and easy to discolor. It is easy to clean and has good insulation effect. It can be used for life. Ice bags are placed in -20 C freezer for 24 hours to cool up. 6. 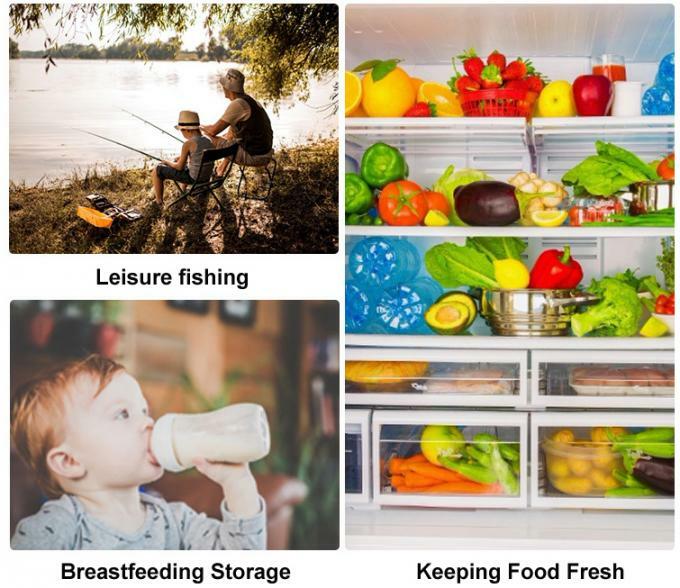 According to the standard, the temperature in the refrigerator can be kept below 8 centigrade for more than 80 hours, and it can be applied to all kinds of medium and low temperature drug transportation. 1. High tech environmental protection materials, through food grade certification. 2. It is easy to clean. 3. The structure design of the cover protruding platform can prevent the dust accumulation surface and easy to clean. 5. 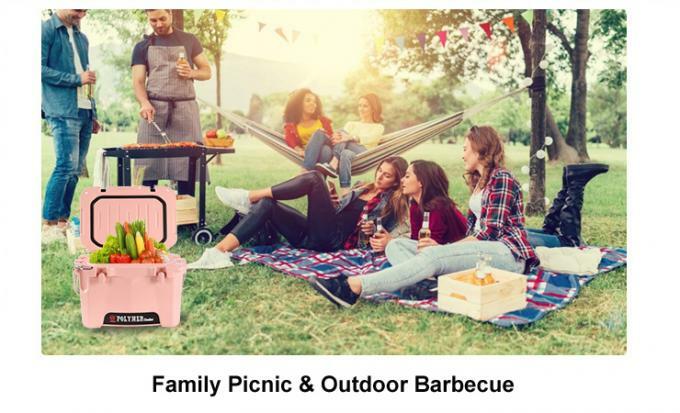 The design of the compartment in the box is that the product can separate the different kinds of objects in the space. 6. The design of the unique rope holes on both sides of the box also makes the box more easily and firmly fixed on the car, avoiding the effects of the bump on the body in the transit. If you need the samples, you will charge for the sample shipping cost, which can be refundable after order confirmation when your quantity of the order is more about the MOQ.